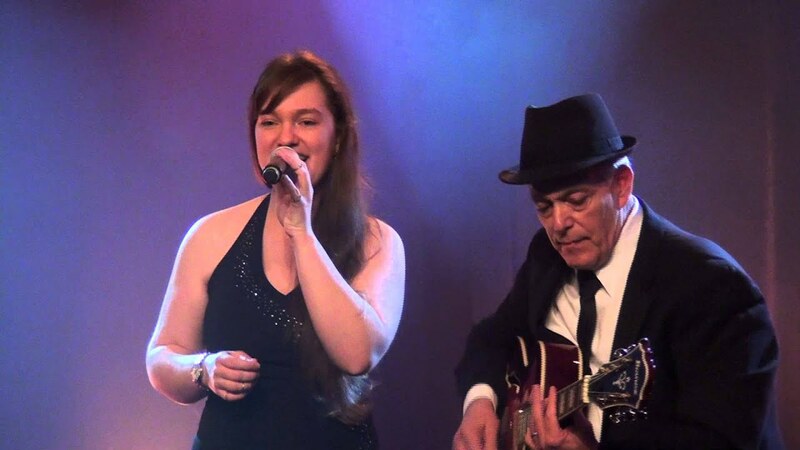 Father and Daughter Jazz Duo Vocalist ( Amanda Scalici) and Guitarist ( Robert Scalici) perform Jazz Standards and Swing by such artist as Dean Martin, Doris Day, Frank Sinatra, Connie Francis, Ella Fitzgerald, Antonio Carlos Jobim to name a few. We have played many events through out the metro area as well as over 600 hundred shows across the U.S.A. as well as Canada and Europe. This versatile duo can expand to a trio, quartet or sextet to suit any musical situation. Whether a wedding reception, corporate function or private party Wishing On Stars will keep the audience and guests entertained for dancing, dining or anything in between. Rob and the whole band are amazing! All our guests enjoy and had fun listening to their great voice and music! Will definitely recommend them and will most likely hire them again! Awesome !!! 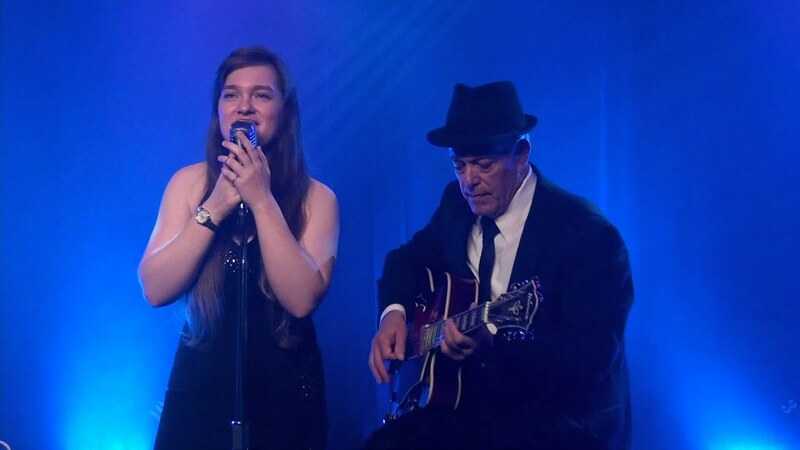 Great Duo, very professional, very prepared, great guitarist (Robert Scalici) and wonderful Female Vocalist (Amanda Sprecher), loved every moment of their performance. Made my party very enjoyable with a wide range of music. Thank you for making this party an extraordinary musical event! This group performed for my wedding and were absolutely amazing. 5 star experience from the moment we connected all the way through. Highly recommend them! Rob & Amanda has put the stunning performance that have surprised and delighted my guests. Amanda's voice was stunning. The performance was the highlight of my evening and if you are searching for a perfect performance, I could not recommend enough Wishing On Stars. Thank you so much for your performance. Wishing on Stars was amazing. They were super responsive leading up to the event and made it despite the inclement weather. Very talented. Highly recommend! Wishing on stars delivered everything on point. 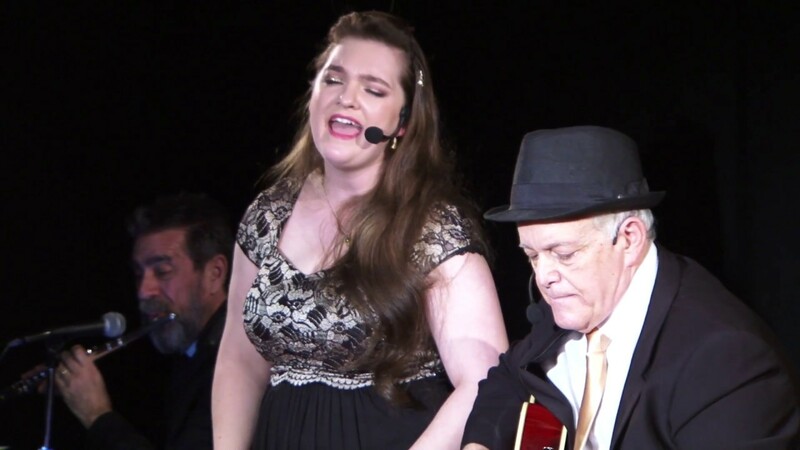 We are fans of music from the 40s, 50's and 60's and Amanda's beautiful voice and Rob's expertise in guitar plus the last minute addition of the bassist had us all enjoying the night to the fullest. Thank you for making our special night even more special. We booked Wishing on Stars for our wedding ceremony and dinner and they couldn't have been more perfect. Their jazzy and soulful tunes were just what we were looking for. All of our guests complimented us on our choice. Rob and the rest of the band were a huge part of making the evening so special. I would highly recommend them to all of our friends and family. If there's ever an opportunity to work with them again, we wouldn't hesitate!! They were so incredible and professional. Everyone thoroughly enjoyed every second of their performance. Thank you very much for your kind review. We are so glad you and your guests enjoyed it! Engaging & smooth!! Wishing on stars kept the crowd in a mellow mood, with swinging hips & snappy fingers! Rob & Amanda definitely get a 5/5 from us! I hosted a small at-home dinner party for my mom's 60th birthday. It was just for family and a couple of friends, but I wanted to ensure that the evening would be special for her. That is where Rob and Amanda came in. They arrived early they set up with ease and they played the entire night. 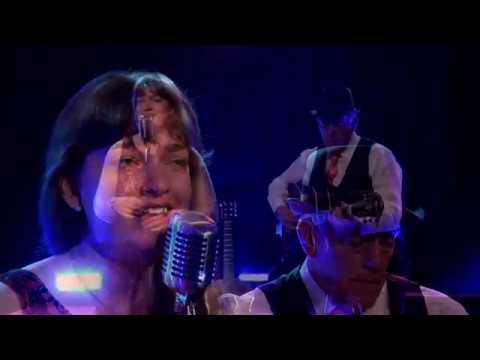 Amanda has such a beautiful voice and paired with the jazz guitar stylings of Rob, you feel transported to a place in time where iPhones don't exist and conversation and dancing flows . The party was small so they knew exactly what volume to sing at and when people started dancing and singing with them they not only brought the volume up but the tempo too! My aunt requested to hear a song (one of my late grandmother's favorites) and she began to cry at the beautiful sounds coming from the duo, it literally moved her to (read: happy!) tears! The entire party everyone complimented me on booking this fabulous duo, they set this upbeat and joyous tone for the gathering and I could not have asked for anything more. There was not one person at the party that didn't ask for their card so they could hire them for their own event. I woke up and the first thing I had to do was review this band and tell everyone who is considering them for a party that they will go above and beyond your expectations and make whatever gathering you throw one to remember for years to come. Just do yourself a favor, stop looking further and hire these two gems! Top notch entertainment. Super talented and highly recommended! Thanks for being a part of our event and making it awesome! What can I say about Wishing On Stars? Amazing performance and very professional! We were so happy that they showed up nice and early at the venue and were very cordial with us and made us feel confident in our choice. They played the entire event (cocktail hour before our reception) without missing a beat and we received multiple compliments on their talent as well as their song choices. They would be perfect for virtually any event you can think of. I wouldn't hesitate one bit to hire them again! Thank you so much for making our special day even more special!!! It has been very easy to work with the band. It was a last minute request but definitely a great choice. Thank you all. Thank you very much! It was our pleasure. Please keep us in mind for any future events you may have. Wonderful, ethereal musicians that will enhance any party! My husband hired Rob and Amanda to perform at our rehearsal dinner. They were a class act from start to finish. Their music was just beautiful and added such a touch of class to our event. Rob and Amanda were even so kind as to let one of our friends' children stand on stage and turn pages for them the entire time! They were laid back, professional, and talented musicians with reasonable rates. I would recommend them for any party or occasion (and kind of wish I was throwing another party to re-hire them right now!). Rob and Amanda played at my mother-in-laws 75th birthday, and they were just perfect! They are highly skilled, play beautifully together and know just how to pace the evening. In addition, they are all-round lovely people- very reliable (arrived early and knew the sequence of events better than I did! ), flexible and adeptly handled the barrage of questions from our younger party goers! We will definitely call them again! Wishing on Stars was professional, communicative and a lovely addition to a very classy outdoor event we held here in Brooklyn as part of our wedding. Rob and Amanda did not fail to deliver. What more could one want when they plan a rehearsal dinner/welcome party for a 300 person Indian/American wedding? They showed up an hour early, while we managed other vendors, and provided beautiful music. Robs' playing and Amanda's heavenly voice certainly enhanced the setting. I asked Wishing On Stars to come and play live music for my baby shower. They did an amazing job and were very friendly. All the guests loved the live music and found it to be very relaxing. I'd definitely ask them to come back for my next party. Great personal touch to our event ! 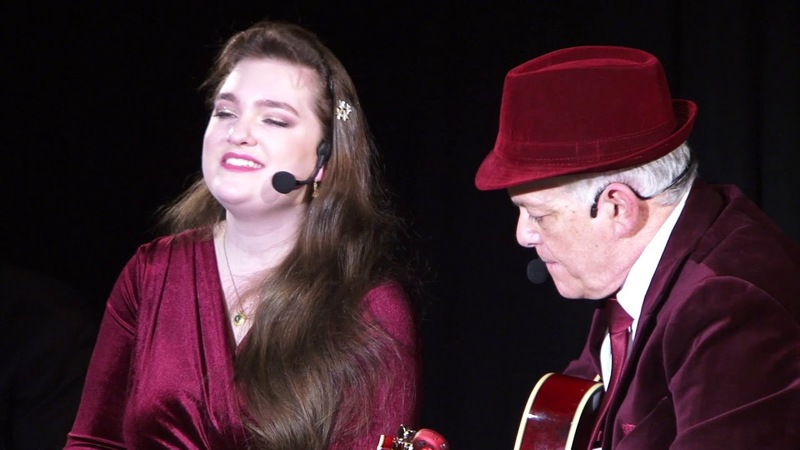 We are a Jazz Duo Female Vocalist and Guitarist performing Jazz Standards by such artist as Dean Martin, Doris Day, Frank Sinatra, Connie Francis, Ella Fitzgerald, Antonio Carlos Jobim ( Bossa Nova) to name a few. We have played many events through out the metro area, This versatile duo can expand to a trio, quartet, quintet to suit any musicial situation. Whether a wedding reception, corporate function or private party Wishing On Stars will keep the audience and guests entertained for dancing, dining or anything in between.